Black is the colour of my hair. White is the colour of my teeth. Black is the colour of a crow. White is the colour of a dove. And black and white is the colour of a zebra. 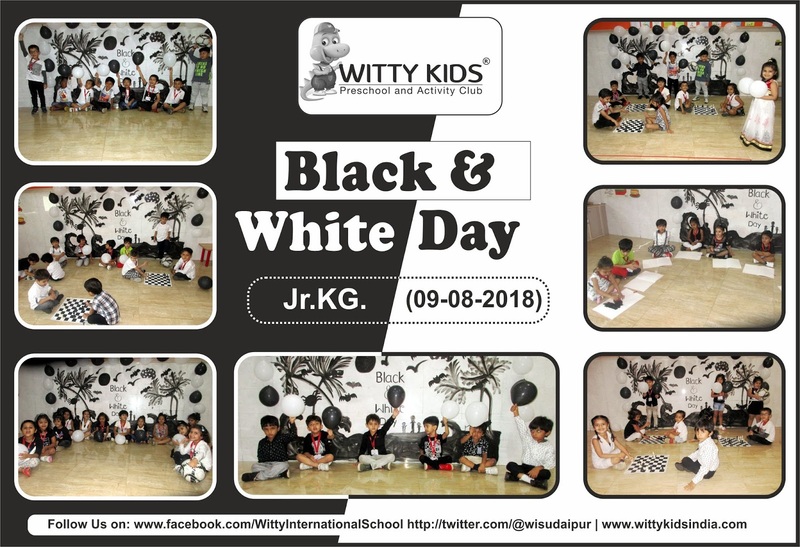 On 9/08/2018, the little Wittians of Jr.KG at Witty International School, Udaipur learnt about the Black and White colour. After learning all the primary and secondary colour now Wittians discovered white and black colour. The sign of Purity, the white colour and the colour of the night sky…. black were introduced learnt to them. 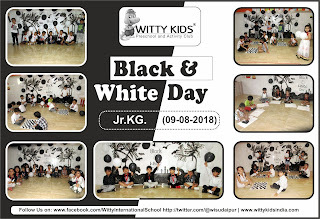 The attire worn by the children and teachers was of black and white colour. Children enjoyed doing magic painting to create night scene in their Scrap Book. It was a fun filled day for the children.